There are hundreds of ways to get your photos deleted from your iPhone but to recover them can get tricky. Whether you accidentally erased your photos, your little niece inadvertently removed your photographs while installing games, or your cute pet was playing with your phone, getting back your deleted images may not be as easy and straightforward. Worry not. In this how-to guide, we will show you ways to recover your deleted photos from your iPhone, starting with the simplest method. 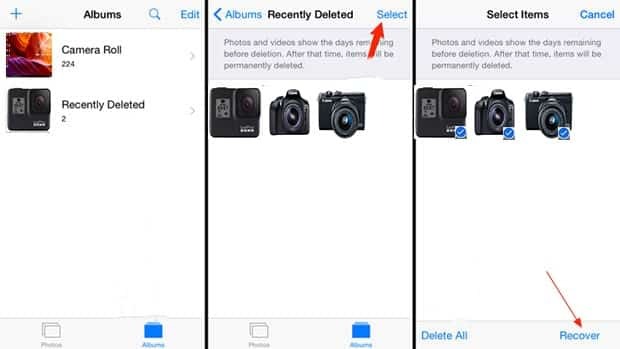 Starting with the IOS version 8, deleted photos are temporarily kept in the Recently Deleted album for 30 days. The Recently Deleted folder is comparable to the Trash folder in Mac OS or Recycle Bin folder in Microsoft Windows. If it has been more than 30 days since your photos were deleted or you unintentionally emptied the Recently Deleted folder, then follow the method below. This method will work to get your deleted photos back into your phone if you’ve synced your iPhone with iTunes prior to deleting the photos. When you sync your iPhone using iTunes, your device image files are saved on your local computer. So, if you’ve mistakenly deleted your photos from your phone, then your Mac or Windows machine will still have your photos from the last syncing. Step 1. Connect your iPhone to your computer with the iTunes application installed. Step 4. Click Sync to begin syncing the photos from iTunes back into your iPhone. If you’ve disabled photo syncing on iTunes but you routinely backup your iPhone, then you may be able to get back your deleted photos by restoring a backed up copy of your iPhone. If you regularly backup your phone using iTunes, then this method will be applicable in retrieving your deleted photos. However, this method will erase any changes made since the last iTunes backup. 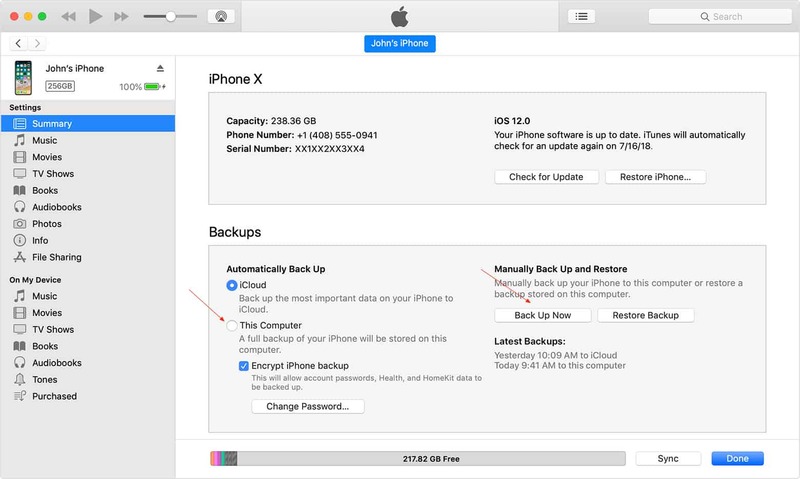 If you do not want to lose any files or iPhone settings, then you should do the latest backup of your device using iTunes or iCloud. Please keep in mind that iCloud backup beyond 5GB storage requires a subscription fee from Apple. Backing up your device is important because your data and settings will be erased while restoring your phone. Step 4. Make sure you select This Computer to back up your device locally. Step 1. 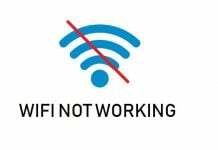 With your phone connected to Wifi, go to Settings and then tap on your name. Hit iCloud to get to the iCloud Backup screen. Step 2. Toggle the iCloud Backup to enable it if it was disabled. Step 4. Click Restore Backup under Manually Back Up and Restore. Select the backup image with the appropriate date (this is not the latest backup image) and click on Restore. Your phone will restart once the restore process completes. After the restore process is complete, you can check the photos under the Photos app on your phone. Using the Image Capture, iPhoto or similar software, transfer your pictures from your iPhone to your computer. If you use the Image Capture program, then follow these four simple steps to save your photos from your phone and into your computer. 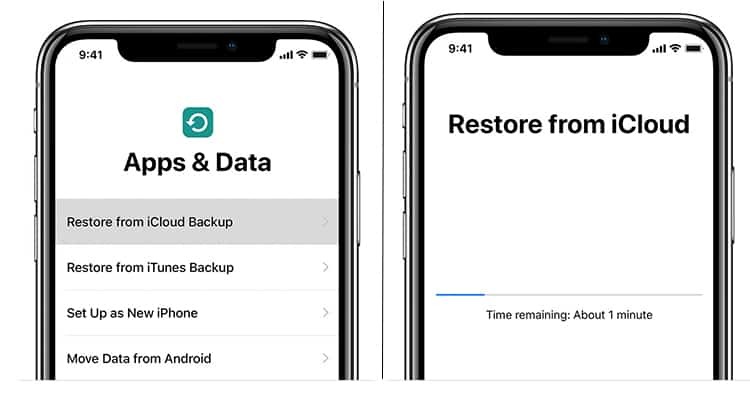 Just so you don’t lose any newer content or settings, you can restore your phone to the backup image from the section 1 above. Step 5. Click Restore to begin the restore process of your phone. Let your iPhone sync with your iTunes after the device restart. Step 2. Enter your passcode or Apple ID password to confirm. Step 4. After the reset is complete, your phone will restart. Follow the onscreen setup steps until you see Apps & Data screen. Step 6. Select the latest iCloud backup from the available backups. iCloud restoration will begin with the download of the iCloud backup data. You can check the backup restore progress in this step. Make sure you are connected to wifi throughout this step. Now that you’ve restored your phone to the way it was, you can now transfer your recovered photos back to your iPhone. Step 1. Using the same application that you used in Section 3 to transfer your photos to your computer, transfer the pics back to your phone. There you have it! Your iPhone with the recovered images and your phone the way it was. 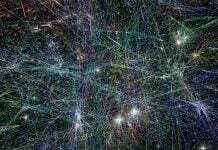 If you don’t remember connecting your phone to a computer, then it is more than likely that you won’t have a local backup copy of your photos. However, if you’ve enabled iCloud backup, then you could try and recover your deleted photos from iCloud. However, be mindful to backup your phone using iTunes or iCloud first to have the latest backup copy of your iPhone. That’s because any changes made since your last backup will be deleted during this process. And, you don’t want to lose any data anymore. Step 4. Make sure you select This Computer to back up your phone locally. Step 1. 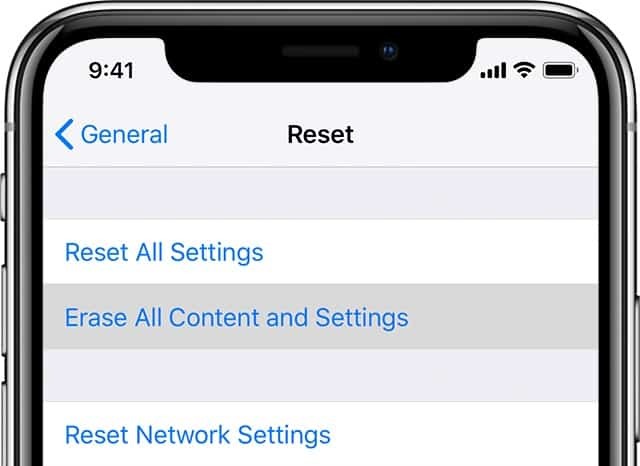 You can reset your phone by going to Settings -> General -> Reset, and then tapping Erase all Content and Settings. Alternatively, you can use iTunes to reset your phone, by tapping on the Settings icon on your iPhone. Select General and then tap Reset. Now select Erase all content and Settings. You’ll have to input the exact password to confirm the reset action. Step 2. After the reset of your device is done, you’ll be welcomed with a screen to set up your iPhone. Select Restore from iCloud Backup. You’ll be asked to input your iCloud password to complete the restore action. 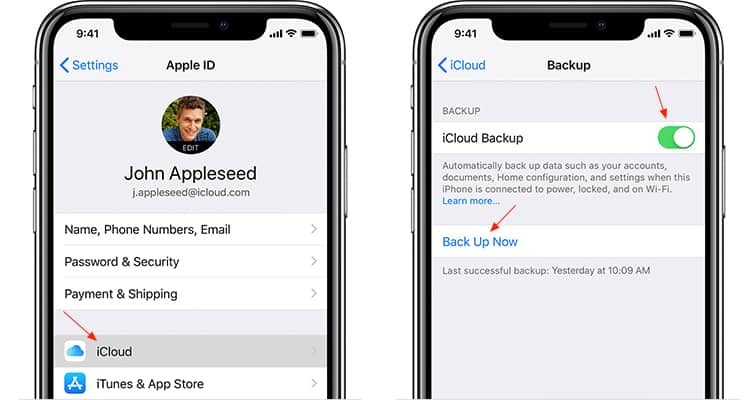 Choose the last iPhone backup with the appropriate timestamp from the list of iCloud backups for your phone. You will see the sliding restore progress next under Restore from iCloud. After the restore process is complete, you can check the photos under the Photo app. Using the Image Capture, iPhoto or similar software, transfer your photos to your local computer. If you use the Image Capture program, then follow these four simple steps in order to save your pics from your phone and into your computer. Step 5. Click Restore to begin the restore process of your iPhone. Let your phone sync with your iTunes after the device restart. Step 4. After the reset is complete, your iPhone will restart. Follow the onscreen setup steps until you see Apps & Data screen. Step 1. Using the same application that you used in Section 3 to transfer your pictures to your computer, transfer the pictures back to your phone. voilà, your iPhone the way it was and your photos back to your phone. This last method requires a 3rd party iPhone recover tool. There are several Apple device recovery software tools available, such as PhoneRescure for IOS, Dr. Fone for iOS, to name a few. However, keep in mind that these iPhone recovery software tools are not free beyond the basic recovery functions that you could do with iTunes. Feel free to do some research on different data recovery software to find the one best one for you. The basic recovery process is similar among these iPhone recovery tools, although the menus may be different. You’ll need to install one of these recovery tools on a computer. Connect your phone to a computer with an iPhone recovery software tool installed. Select an appropriate option to restore from an iOS device as opposed to restoring from iTunes or iCloud backup. Select photos as media type to let the software tool scan for photos. Choose the desired photos to restore.